The convert is me, and I’m excited to report that I’ll be in Israel for 6 months, working on a book, some of which takes place here, in zeh Holy Land. Writing the novel I have brewing in in me is not the only story-telling that goes on here. At the first Shabbat lunch I was invited to, the hosts were curious about my Jewish beginnings, and what brought me to Judaism. Ah, here we go again! But I don’t mind the question so much anymore, the way it used to make me feel a bit “put on the spot” when I was younger, because I have come to realize that each time someone asks, I tell a story – my story – which comes out a little different every time. It’s like realizing that “it’s alive!” – by that I mean life is alive, in all its past, present and future permutations – and this of course refers especially to memory and how we need, use or relate to our memories (essentially our story) at different times and situations throughout our lives. Talk about a loaded concept. It’s a little bit the same idea when you write a story that is not about you but someone else. Even a fictional character. Each time you re-visit the character’s background and try to formulate it with words, it is tweaked to become the truest representation of that character’s identity as possible, at that moment. It can and probably will change. Maybe the best thing a writer can hope for is that the character will take on a life of her/himself. Be alive on and off the page. Before, during and after the writing. I’ll try to report to you occasionally from this experience of writing and creating and re-creating identity in Israel. As a convert, as a writer, and as a story-teller. “How can you feel Jewish when your family did not go through the Holocaust?” the woman asked me. She was a Jewish woman of Hungarian background, and addressed me in an accent that betrayed a childhood far away. She told me she had lost many of her relatives in the war, and had come to Norway as a refugee with her remaining and traumatized family. It was midsummer night and I was celebrating with my parents on an island in the Oslo fjord. I had recently converted and this was news that intrigued some people. I recall feeling completely overwhelmed by her question. I can still feel the warm flashes on my face and neck as if I were standing in front of her right now, and remember vaguely running some sort of millisecond speed-recovery mission on the spot from the mental archives of all my accumulated Jewish learning. What would be a good answer? I don’t quite remember what I said, but I think I mentioned that there are meny ways of “feeling Jewish,” and that for me, it was through the doing of everything Jewish that my Jewish identity formed. I had studied with a rabbi for over two years and I had gotten a Bachelor Degree in Jewish studies. I had accumulated a wealth of knowledge and understanding about what it meant to be Jewish, and I practiced a traditional Judaism that made my secular Jewish and Israeli friends roll their eyes. Kosher, Shabbat, laws of family purity, matzah, holidays… “Why all the bother?” they’d ask. Many years later, after a lot more experience in living a Jewish life, I have come to see that much of my Jewish identity and “feeling Jewish” comes from osmosis. And I don’t mean just on a level of an “assimilation of ideas,” but rather through a conscious act of becoming part of the Jewish collective memory. All of it. From the exodus from Egypt, to Rebecca, Rachel, Leah; from King Salomon and the First Tempel to the battle of Masada; from the dispersions in diaspora in Iraq, Iran and Turkey, to the Eastern European shtetels and the Sephardic experience in the Iberian peninsula; from convivencia to Inquisition; from the North African mellahs and harahs, to the ghetto in Venice; from pogroms to revolutions, to Zionism and Ellis Island and the Lower East Side, and France and Canada and Venezuela, and finally back to Israel, in all its complex existence through joy, wars, progress and hope. And lodged deep within this humongous tome of collective memory, the vast, dark and disturbing chapter of the Holocaust stands out, etched into the fibers of my feeling being, a memory that is so profound that I can never blot it out, even if I wanted to. How can I feel Jewish? Anthropologist Jonathan Boyarin underlines that “for Jews, memory has also worked to plaster the ruptures in collective existence caused by repeated catastrophe and dispersal. It has been essential to the everyday continuity of a people who cannot rely on a linkage of blood and soil”(Storm from Paradise 35). The Jewish people – my people – can rely on me to continue to “plaster the ruptures” as I do my part, essential to our continuity. I believe that my soul, or my neshama, always had its Jewish spark, and that my eventual conversion was a way for my body and soul to be united in one identity. It was like coming home in myself as a Jew. And this, I do know how it feels. Last week I saw the movie Brooklyn, about a young Irish woman who decides to leave her family in Ireland and immigrate to America. 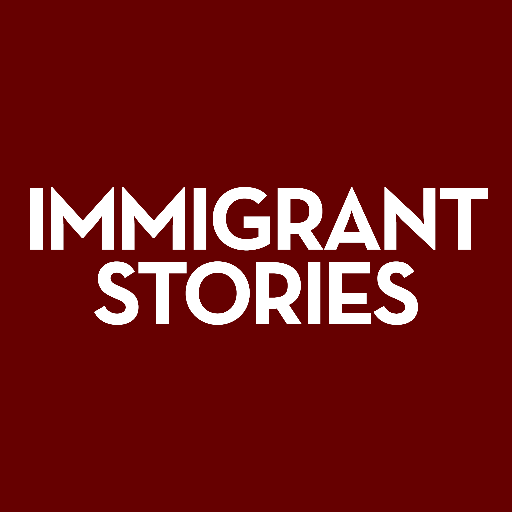 Another immigrant story, I thought, a bit nonchalantly, as we wiggled our bodies into the worn couch that serves as the front row at the local independent movie-house in Brunswick, Maine. The story of the immigrant, or ger in Hebrew, is one of the oldest in the Torah. Basically, it’s one long story of migration, physical and spiritual. Welcoming the ger, the stranger, is a central mitzvah. I think all of us Jews by choice have experienced many different varieties of feeling welcomed, or not. We are perhaps particularly sensitive to this concept. Lech-lecha me’artzecha, (“take yourself out of your land and leave”) G-d said to Abraham. There were better things in store for him elsewhere, outside, away. Through the immigrant story he was to evolve and improve as a person, and his practice of hospitality – welcoming in the stranger into his tent – became the model behavior for the Jewish people. I think all us converts are immigrants. Soul immigrants. Tribal immigrants. We know what it’s like to leave our families, to cross borders – real or imagined – and having to prove our eligibility and ability to fit in. We all know what’s it’s like to be reminded of our complex status as outsiders coming in, or insiders going out (home? )…It can be complicated and also wunderbar. Although I found most of Brooklyn the film and the characters to be forgettable, (with exception of the animated little brother of the main character’s Italian love interest) something in it touched a nerve in me; it may have been the part of the story that made it universal and relevant for any individual who has left home and all that is familiar to look for a new place to call home. Home can be a location but of course also a spiritual or emotional place of belonging. Although I never left my native Norway because of dire conditions or because I felt stifled (like the young Irish woman in the movie), I too have experienced returning only to find that with each visit I understand better why it was that I was driven to leave in the first place. Despite the wealth of my native country, the love of my family and the privileged opportunities I had there, I think on a deep subconscious level I felt like an outsider and longed to “come in” somewhere else. Where that “somewhere else” might be I did not know when I was young, but it took shape only after I found the courage to leave. Lech lecha me’artzecha. Last semester I taught a class called “Coming to America: Immigrant Literatures” and while many of my 38 students were first generation immigrants and the first in their families to attend college, there were also those whose clans have been in the U.S. for generations. The latter students did not identify as immigrants, but soon realized that you don’t need to be an actual immigrant in order to feel like an outsider or newcomer. We read Bill Bryson’s I’m a Stranger Here Myself, a collection of essays about his homecoming to the U.S after twenty years abroad, and the students were encouraged to identify moments when they too had felt like a stranger, a ger. Because no matter how you twist and turn the issue, the immigrant and the newcomer, like the convert, will always be sensitive to the experiences of in-between; that suspended place connecting what was and what is. Hyper-aware of situations and feelings that remind her/him about how good it is to belong and how important it is to welcome the stranger, those of us who have left bring a unique sensibility and sensitivity to living life. The Convert Story: Why Now? Not all converts are comfortable talking about it. Some prefer it not be known or brought up in conversation. I remember how, in the early years of my Jewish life, it was uncomfortable for me each time somebody would look at me slightly askance and say things like “Wow, there are Jews in Norway?” or “So…what was your maiden name…?” trying to place me in their understanding of who I am, where I came from and how I got here. As a Jewess. Now I don’t care anymore. I confidently call myself a new-Jew, a Jew by choice, or a convert. Although I will say I have not been too fond of the Hebrew word for convert: ger. Which also means stranger. But I know that this word can be traced in the Torah to be understood as something valuable and important in Jewish history and civilization. Something ethically critical, even. Me not caring anymore and feeling comfortable discussing my Jewish journey is surely a result of my maturing into my identity; the chosen one, the one I was born into, and the one I am becoming by each passing day. Because let’s face it, we are becoming; we are constantly in the process. Somehow, I have experienced many fewer conversations relating to this daunting odyssey with fellow converts than with curious or fascinated “outsiders” (ha! WE are the insiders in this one! ), but when I do chat with my new-Jew cohorts, even if by now some of us may be old-ish Jews, the exchange feels heart-warmingly genuine and intimate. The truth is, we do share something unique, and our stories matter. A new group is forming at my local JCC carrying the same name as this blog. We will meet one Tuesday evening a month, starting October 13th. If you are a convert and live in the Greater Hartford area, I hope to see you. If you live elsewhere we could Skype you in, or you might contribute/become part of the conversation by sharing your story right here, on this co-operative blog (just click on FOLLOW, and you will receive an email with an invitation to become a contributor). You can also join Our Facebook Group, a private space for kvelling, complaining, celebrating, inquiring and sharing. I look forward to meeting you in person, on Facebook or on our blog! We all know some things about being a convert are not so funny. Like when some stranger asks you in all sincerity how you can feel Jewish when your family didn’t suffer in the Holocaust. Similarly, things like just being “alive” or being “a man” or “a woman” or “an ex-pat” or “divorced” or “a teen” or “a senior” can have all sorts of emotions and experiences associated with them; some funny, others not so. On this blog we will share stories from our lives as Jews by choice (JBC), or Jews who “Chose to be Chosen” as one friend put it. For most of us this was not an easy decision, nor was it achieved in a skip and a jump. It’s the story of a journey. Many stories of many different unique Jewish journeys. So, although humor often helps make matters more tolerable, and this blog sort of suggests that attitude, humor and “funny” are only one ingredient of many possible. But it’s a fact that humor and laughter has a way to make us feel good, (love those endorphins! Maybe that is why I laugh so much and so loudly, as if to release a more potent dose), and it’s a healthy ingredient to try to include. Kind of like kale. Pile it on, or sneak it in. But of course, sometimes it’s not kale we want or need. It’s meatloaf with a pile of mashers and our mom’s apple pie. It’s the quintessential chicken soup we yearn for, to sooth us, to comfort us. Those stories are ours too; the ones that express our heartfelt emotions or troubled souls. Life is rich, and it brings all kinds of days, all kinds of moods, all kinds of events, expected or not. How did you choose your Hebrew name? What does it mean to you? Do you use it in your daily life? Homesickness/Nostalgia – What do you miss? It’s ok to say. Jewish Activism. Is it for you? Travels – Has being Jewish changed how you travel and where? The Shoah/Holocaust – What or how do we remember? Freedom – Do you feel it on Passover? My Favorite Jewish Recipe, and why? New Year Resolutions in September! Do you have an idea for another theme we can dedicate space to on our blog? Go ahead and add them in a comment, and we may add it to the list. This is NOT the one set in stone. So why don’t you come onboard and join the conversation? If you would like to be a contributor to the blog, hit the FOLLOW button to subscribe to the blog, and we will send you an invitation. Or choose to just follow by being a reader and occasional commentator. Coming Soon! A dynamic and fresh blog for and by converts to Judaism where you too are asked to contribute your stories and voices, with insight, humor, wonder or depth. Just subscribe to follow the blog and you will receive an invitation to become a contributor, that you can ignore or accept, depending on whether you want to be a reader only, or a writer as well. Together let’s rock the world and leave our colorful traces for those who think we don’t like our own special spaces to express all our unique faces! Let’s start building a collection of testimonies to our diverse experiences. 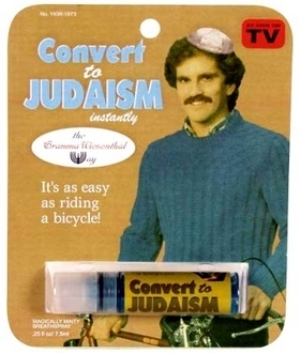 If you like writing about your experience as a convert to Judaism, become a contributor to the blog That's Funny You Don't Look Jewish! Submit a story to share about any experience that is relevant to your Jewish journey, one that you think may resonate with other readers and converts. There's a list of themes posted under "Funny or Not: Themes to Think About. "(Max 1000 words, please.) To receive the contributor invite, sign up to follow the blog and you will hear from us shortly.